For a lot of young children, articulating their emotions can be challenging. It’s no easy task to take a step back and understand why you are feeling a certain way. Let alone choosing the right words to then explain these feelings to someone else. 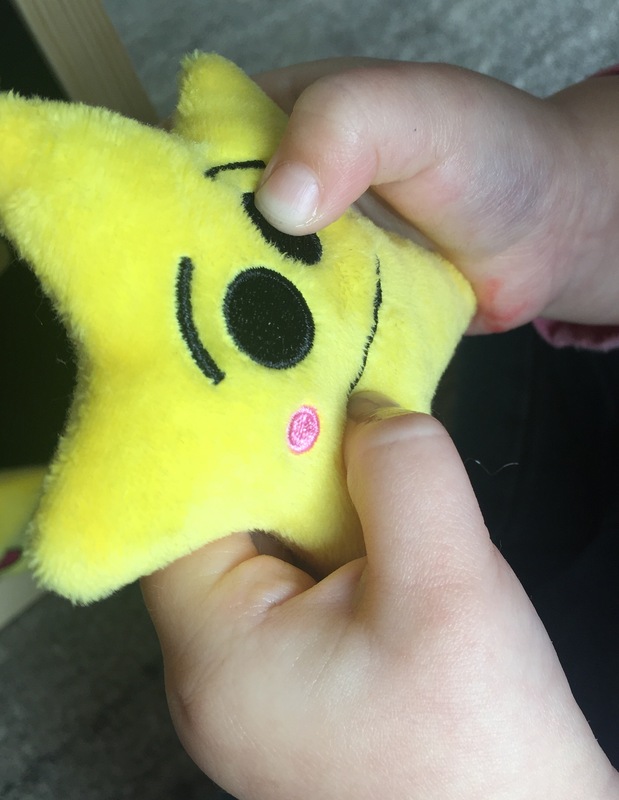 That’s why I was delighted to discover My Mood Stars, an adorable, tactile and enjoyable way for children to learn about their emotions and express them. My Mood Stars are a collection of eight gorgeous, soft, squishy, plush, toy stars. Each star has its own cleverly chosen name and includes: Cross Star, Shy Star, Sleepy Star, Sad Star, Silly Star, Scared Star, Suprised Star and Happy Star. The Stars come with a specially designed board that children can pop the stars onto and pull off. 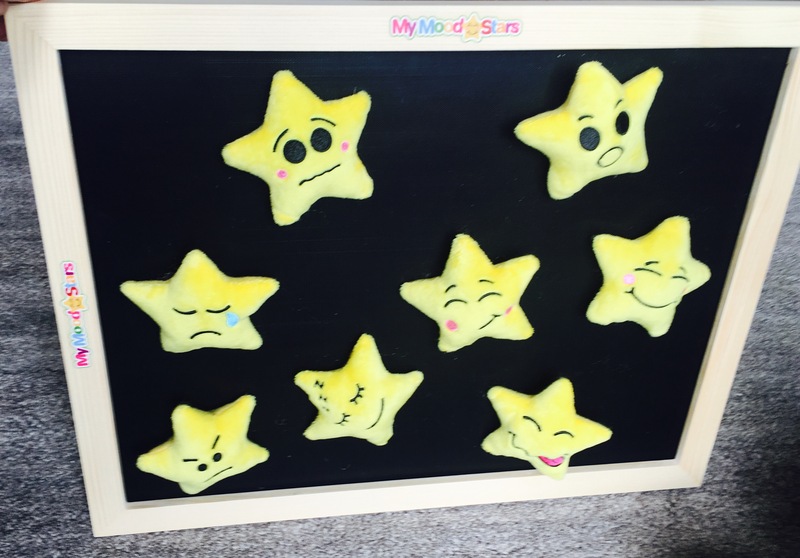 Not only adding a wonderful sensory element (there’s something very therapeutic about the sound and feel of taking the Stars off the board) but also allowing children to display their emotions. From a practical point of view as well, the board helps keep their stars safe in one place. My Mood Stars’ creator, Wendy White, has also written a book (which can be found here) to support her resource. The book provides useful prompts as well as questions to ask children, when discussing their emotions. Provides Children with Key Vocabularly to Verbalise their Emotions: My Mood Stars are clever as by giving the stars the names of different feelings, they help children to personify the emotions. Unsurprisingly, children find it much easier to learn the names of toys than learn the words of complex and abstract feelings! So by introducing a child to the Stars and teaching them their names, you are providing an easier mechanism for children to learn the key vocabulary they need to explain their emotions! Help Children To Understand Their Emotions– Over time children will learn to associate the names of their My Mood Stars with their own emotions, either by themselves or with support. Caregivers, parents and teachers could use them as a visual aid to point to the emotion they think the child is feeling at certain times, reinforcing this connection. For example, if the child has fallen out with their sibling, the parent could point to and give the name of the ‘cross’ or ‘sad’ star and help the child to understand that they are feeling that way. Using it ‘in the moment’ helps children to develop their understanding easier as they are not relying on their memory of the feeling. Communicate Emotions with Others- What I particularly love about My Mood Stars is it provides a way for children (regardless of if they are verbal or non verbal) to communicate their feelings to others. For example, a non-verbal child could use it to point or pick up the Star that shows how they are feeling. Used correctly, I believe this could really help children who find it difficult to communicate their emotions. In turn, this could reduce a child’s feelings of frustration that can often coincide with people not understanding how they feel. Develop Empathy– Adults could also use it to model how they are feeling. This could help children to develop empathy for adults and also demonstrate to a child how to use the Stars themselves. I was impressed and surprised by the empathy kids felt towards the Stars too! We had questions about why the Sad Star, for example, was feeling sad and the children were genuinely quite concerned about him! Opens up Conversations about Emotions– I was stunned by the conversations I had with my four year old, within minutes of opening My Mood Stars. Without any prompts, he was chatting away to me about the things that make him feel scared, when he last felt sad and if he had ever felt shy before. Some of the information he gave me- I wasn’t even aware of until now. Multi-Use– My Mood Stars aren’t just for discussing emotions but can be used in many different ways too. For example, the children enjoyed playing with them as part of Imaginative Play activities (reinforcing their understanding of emotions through play) . They would also make fantastic props for Social Stories. Tactile– My Mood Stars are a high quality, sensory and novel take on the traditional ‘Emotion Cards’. Because they are soft, squishy toys- they can be chewed/cuddled/thrown without them being easily damaged like cards would be. Have a look at My Mood Stars here. 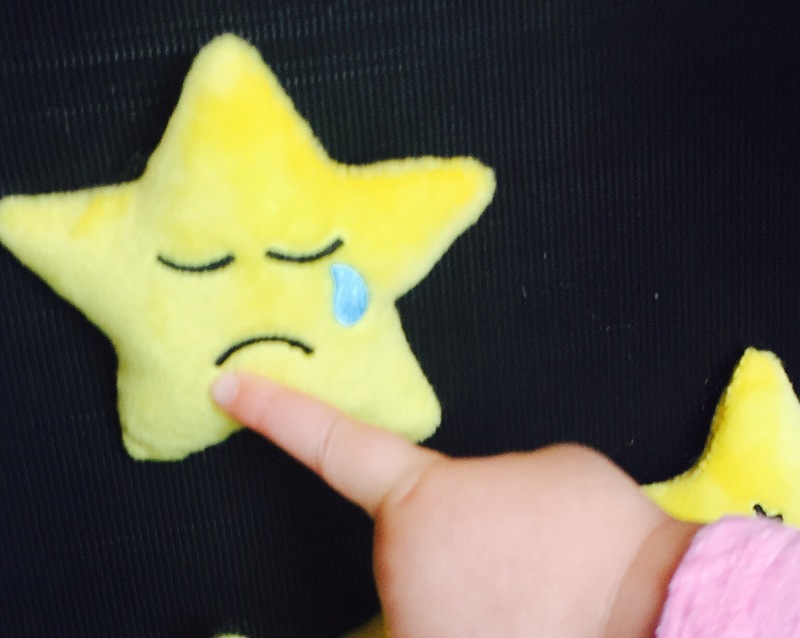 *Please note we received a sample of My Mood Stars for review and this post is Sponsored. However, all words and opinions are our own. What a wonderful resource. Could be used to express emotions from child to caregiver but also from caregiver to child.